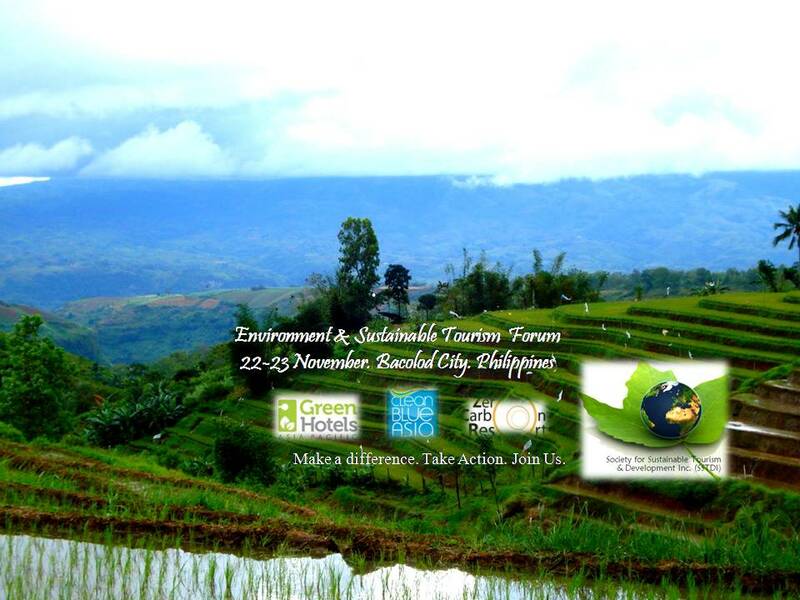 The Society For Sustainable Tourism & Development, Inc.– STTDI, a not for profit, non-governmental organization, offers “Environment & Sustainable Tourism Forum” in your tourism destination or host city or town. Sustainable Objective. The objective of the Forum is to bring together stakeholders from the tourism sector, government regulatory agencies, resort-hotels, travel, transport, real estate developers, contractors, sports, leisure, service providers, SMEs and tourism related industries, environmental NGOs, civic clubs, POs, IPs, the academe and the local host communities to enhance their knowledge on environmental care and responsibilities (to help mitigate the effects of climate change), best green experiences, sustainable tourism and development principles and practices. Ecological Goal. To produce a comprehensive environmental conservation, social responsibility and sustainable tourism and development framework not only for Negros Occidental and the West Visayas region but also the rest of the Philippines in cooperation with its implementing partners and experts from Green Hotels, Zero Carbon Resorts & The Clean Blue. Greening Mission. It is envisioned that after the Forum, participants will enhance their knowledge and ability to contribute to protect the environment, embrace and espouse green practices in their respective endeavors, knowing that these eco-friendly habits begin with each person. Support Sustainability. We look forward to seeing you in Forum, and thank you in advance for your participation in this worthy endeavor to support our greening initiatives for the Conservation, Social Responsibility and Sustainable Tourism for Negros & West Visayas! Get Involved. All concerned industry leaders, tourism & hospitality players, citizens and community in general are invited to attend this groundbreaking and stakeholders’ engagement. Make a difference.